It took a couple days, but I'm starting to get into the rhythm of things now. Caught 3 more films on Friday and 4 on Sunday, but none on Saturday (spent the day attending a good friend's wedding). Today's crowd turnout was excellent which is nice to see. There was close to a packed house at all of the screenings I attended today, as opposed to a less than half filled room for the weekday matinees. We've had some fantastic weather here too, I hope it stays this way, it makes the sometimes long waiting time between films pass by so much easier. 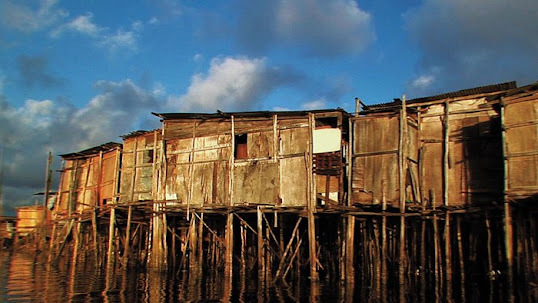 An eye opening documentary about a community of mostly women and children who live in squalor in randomly constructed shacks raised on stilts above the water in Salvador, Brazil. The director takes an interesting approach, using a local resident as the narrator, and focusing the film on some personal stories, highlighting the pride and support there is in the community. A modern and mostly faithful retelling of Dostoyevsky's Crime and Punishment, done in a very Bressonian style. 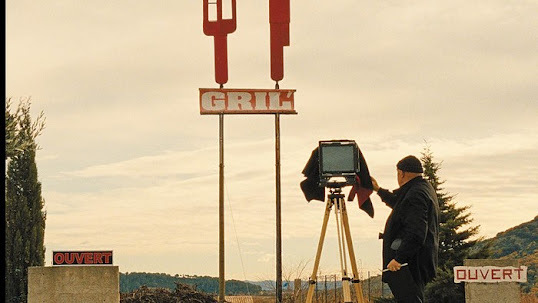 Long shots, blank faces, and non emotive dialogue rule the day here, and there are several homages littered throughout. Some clever use of television clips and university lectures are used to help fill out the message of the story. You probably need to be acquainted with Bresson to enjoy this one. Beautiful film, perfect for lovers of France, photography, world history, or people watching. Can't describe how stunning the images in this are. Everything from the shots of the French countryside to the digitally restored archival footage are all incredible. It doesn't have much of a story, or tell us very much about Depardon, but it does offer some very intense moments. Infinitely more interesting than a two hour film about the French minister of transportation ought to be. Superb pacing, and strong screenplay. But it's the electric performance from Olivier Gourmet that makes this one worthwhile. Delivers exactly as expected from the son of David. 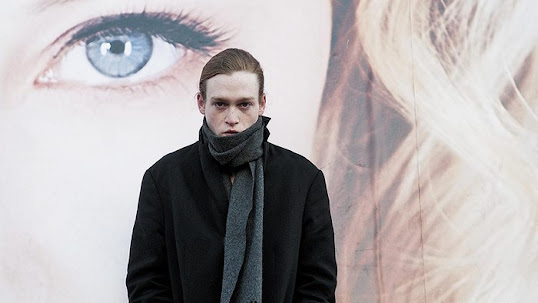 A dystopian near future, great gore and sci-fi effects, fantastic set decoration and design, plus a strong lead performance from Caleb Landry Jones. Could have used some tightening up, but still a nice feature debut and a welcome addition to the genre. Director was in attendance and stayed to give a lengthy Q&A session at the end. A very inventive and amusing tribute to Giallo and Italian Horror of the 70s. The sound design is pure brilliance and the editing isn't far behind. Loved how it plays with the audiences expectations at every turn, and often does so to great comedic effect. Toby Jones is outstanding. First film of the fest that I cannot wait to watch again. Extremely brutal tale that is quite shocking and will be tough going for most audiences. Interestingly it's not actually that explicit but the impact is just as severe. Not all bleak though, there are some tender and some humorous moments sprinkled in, plus some unique fantasy elements. Cinematography is impressive, and I must say, these new digital projectors make HD films look amazing. Audience gave it a good round of applause at the end. I see an Oscar nomination in its future. Oh - so many of these look so wonderful. I agree with Mettel below - there is nothing like that atmosphere. Its so electric. And you are filling it with such great films. I want to see all of these. The Minister looks amazing and Journal de france, and Berberian Sound Studio looks like one I will have to search hard for - I dont want to miss that. Nice, there's a few here I'd like to get to know better in the future. Bay of All Saints, Rebelle, Berberian Sound Studio. Much better grasp here, feels more my style. I want. 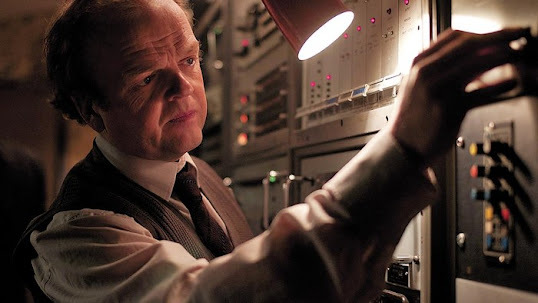 Of these I'm intrigued by Berberian Sound Studio, the trailer looks intense. Yeah I'm quite happy with my choices so far. Haven't seen anything that's really a masterpiece, but also haven't fallen asleep or felt like walking out either. Yeah it is magical. I'm trying not to think about the end. The Minister was a brilliant surprise. The pace is so manic, it feels almost like an action movie. I know you will love Journal de France too, there's a jaw dropping sequence where he filmed in the streets during the 1969 Soviet invasion of Prague. BSS as well, so strange and amazing. Definitely don't miss it. Yeah I'm pretty sure you would enjoy all three of those. It's great. Can't wait for it to return after the fest so I can see it again.